CLICK THE VIDEO ABOVE FOR A ONE MINUTE FREE PROMO! 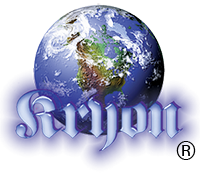 THE JOURNEY HOME - KRYON BOOK FIVE, has been a best seller for many years. It's a story of one man and his spiritual journey; a love story; and a lesson for all of us. This book has been featured all over the world, in a full-day of story-telling by Lee Carroll. Now it's fully contained on video in this four-section series. The first one is FREE! Journey Home video lecture series. book for no cost. No EMAIL required! Just Free! GO AHEAD CLICK. purchase the others. No obligation. NOTE: Video stopping and starting? (your Internet speed may be too low). Simply click on the "HD" at the bottom right of the video (above). The video will start again in Standard Definition. * We render separate videos for mobile devices. We are using code which will play on smart phones and pads with stellar quality! as many times as you wish! Please read our TERMS, SUPPORT and REFUND POLICIES by clicking HERE. NOTE: Didn't get your purchase password? Look in your "junk" or "spam" folder.